Kids 12 and under are FREE at the Sierra Nevada World Music Festival when accompanied by a paying adult. Parents are responsible for the supervision of their children at all times, while attending SNWMF! 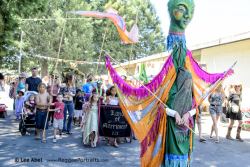 Each year, Sierra Nevada World Music Festival provides a fun environment for kids that includes a Festival Parade, a Bounce House, games and an Arts and Craft area. 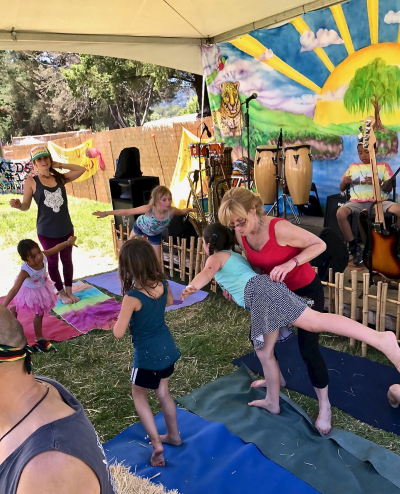 We celebrate more 25 years of SNWMF with lots of movement, music, teachings, workshops and play for all! Dr. Paul Morehouse has been a professional musician since 1965 and early childhood music specialist since 1989. He created the Music Means ME! Jam Session in the mid-1990's when serving as Artist-In-Residence for the California Arts Council. As a music performer and educator, "Dr. Paul" has presented the Music Means ME! Jam Session for elementary schools, libraries and community events throughout Northern and Southern California. Then, in 2013, he met vocalist/bassist Hubert Reese. The dynamic collaboration of these two musicians brought this music concept to a new, exciting level at Sacramento's annual multicultural Banana Festival where the "Jam Session" is now featured each year. 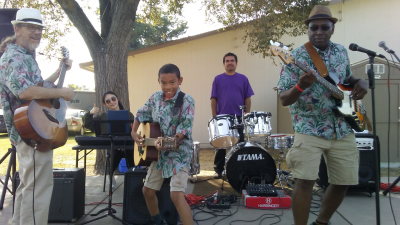 Filling out the band's diverse personnel are Mexican reggae drummer, Jorge Lopez, South African percussionist Marlin Brown, 18-year old Chinese keyboardist Fang Leiu and prodigious Davis Singleton, the group's inspiring 12-year old guitarist. SNWMF Celebration Parade! Celebrate the Summer Solstice by joining in our daily parade. We welcome you to step right in and dance along. The more the merrier! 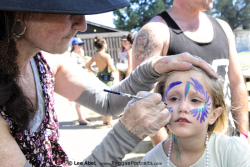 Kathleen and her daughter will be creating face and body painting throughout the weekend, a popular activity she has been doing for over thirty years at festivals. Check the Kids Zone schedule for "free" face paintings for the kids. 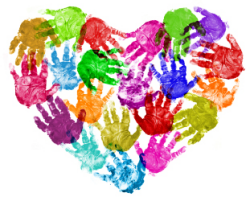 SNWMF offers all-day art & craft activities to our creative young souls. This year will be no different. Join Pam and the crew for some special activities! The Bounce House will stand inflated once again. A popular favorite of the youngsters. Check it out in the Kids Zone. Bounce on! 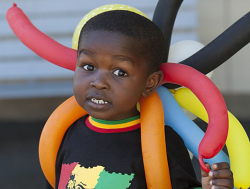 Pam will be creating balloon art in the Kids Zone, during scheduled times throughout the weekend. Bring the kids to check out her ballooning talents and creativity! Once again, Karen will be conducting yoga classes for the youngsters! "Kids Yoga" will be in the Kids Zone each day, following her Solstice Yoga session. Bring the family and join in for some good stretch moves and relaxation. Come as you are... bring a yoga mat, towel, water and a smile! From Los Angeles, Hanif and his two boys bring drums to the Kids Zone, and conduct daily workshops for the children. Throughout the weekend you may also find them jamming at their drum booth in the Village Stage vending area. Feel free to join in! On Saturday, Al will be mesmerizing the kids with some great animated story telling. In addition, he donates hundreds of books to our SNWMF youth. 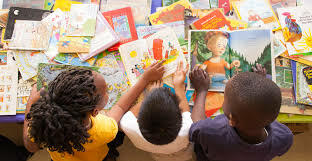 Come by the Kids Zone to listen to stories and, grab a book while you're there! 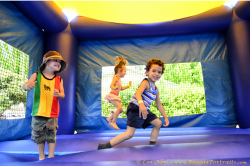 Join Nicholas and his Party Animals in the Kids Zone! Nicholas will be providing demonstrations and teachings throughout the day, on how to get the most out of your Party Animal Puppet! 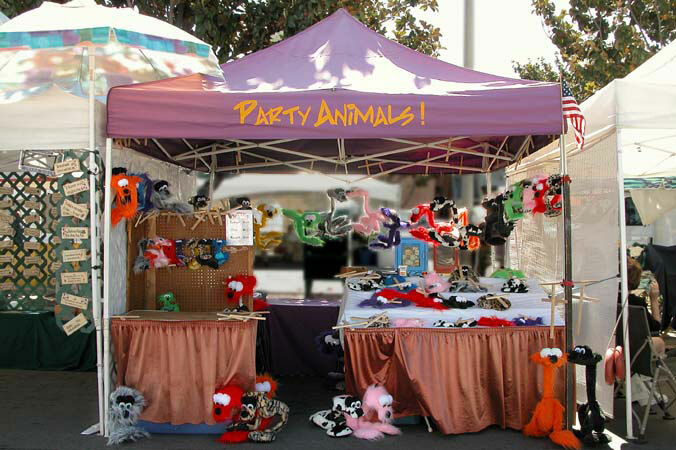 The Original Party Animal puppets are truly a one of a kind design, each one hand-crafted at our workshop, here in Cobb, California. We use safe non-toxic materials, (acrylic long pile and plush fur) stuffed with standard batting, and embellished with pom-poms for the eyes, nose and tail. Finally, we construct a pinewood board tied to four lengths of standard fishing line, which in turn connect to the four control points of the Marionette; the two feet, the head and the tail. The materials are so light, and the design so perfectly balanced, that young children and adults alike can create an amazing dancing performance in no time at all!